The ultimate in lightweight versatility! Redefining field mobility and portability. 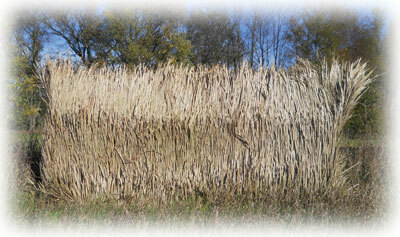 The new Avian-X A-Frame Blind offers the next best thing to total invisibility in marshes, fence lines, or waterways. Even open fields! Don't waste time searching for cover. Take it with you! 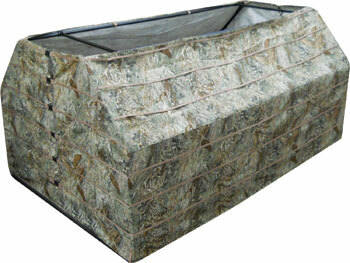 The A-Frame Blind features a non-corrosive aluminum modular frame complemented by a rugged 900-Denier Mossy Oak shell. Grass straps and pockets incorporated into the blind's outer cover allow for quick, easy, and complete concealment using natural vegetation, while the A-Frame design eliminates those bird-flaring hard edges and shadows so common with other blinds. The A-Frame can easily accommodate four hunters, yet sets up in mere minutes. Comes complete with 4 adjustable gun clips and EZ-Carry webbing strap, makes packing the A-Frame into the field a cinch. Camo: Mossy Oak Shadow Grass Blades. Redefining field mobility and portability, the new Avian-X A-Frame Snow Cover offers the next best thing to total invisibility in wintery, snowy conditions. Don’t waste time searching for cover; take it with you. The A-Frame Blind features a noncorrosive aluminum modular frame complemented by a rugged white shell. Measuring 96˝ L x 60˝ W x 48˝ H and weighing 26 pounds, the A-Frame can easily accommodate four hunters, yet sets up in mere minutes. The A-Frame Blind comes complete with four adjustable gun clips and EZ-Carry webbing strap, which makes packing the A-Frame into the field a cinch. Custom made Fast Grass sheets designed specifically for the Avian-X A-Frame Blind. Each kit contains 2 sheets, one for each side of the blind. Also included in the kit is a package of zip ties for permanent attachment to the Avian-X cover. Once attached to the cover all you have to do is roll up the sides for easy take down and easy set-up.